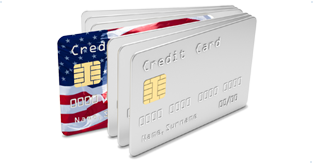 The Smart Card Alliance’s EMV Migration Forum has opened its membership. The mission for the EMV Migration Forum is to facilitate the move from magnetic stripe technology to secure EMV contact and contactless technology in the United States. Membership to the forum is separate from Smart Card Alliance membership and is geared toward organizations with little or no prior involvement with smart cards or chip technology usage. Membership to the EMV Migration Forum can be attained through an application and will follow a 12-month renewable model. Additionally, Smart Card Alliance members will receive a 20% discount on membership and can update their membership at any time throughout the membership year. Since its public announcement, the forum has been met with a great deal of positive feedback and support. The Forum is eagerly anticipating the gathering of representatives from global payment networks, regional payment networks, issuers, processors and merchants. The forum will hold an official kickoff meeting on September 12-13 hosted by MasterCard at its headquarters in Purchase, New York. The forum is expected to discuss stakeholder perspectives on EMV migration as well as provide working sessions to detail key challenges that the payments industry will face as it moves closer to EMV. Admission to the meeting is free and prior registration with the Migration Forum is not required for attendance. A large turnout is expected for the event so the registration deadline is set for September 10. Additional information on the EMV Migration Forum can be found here. Registration information for the Forum’s kickoff event can be found here.